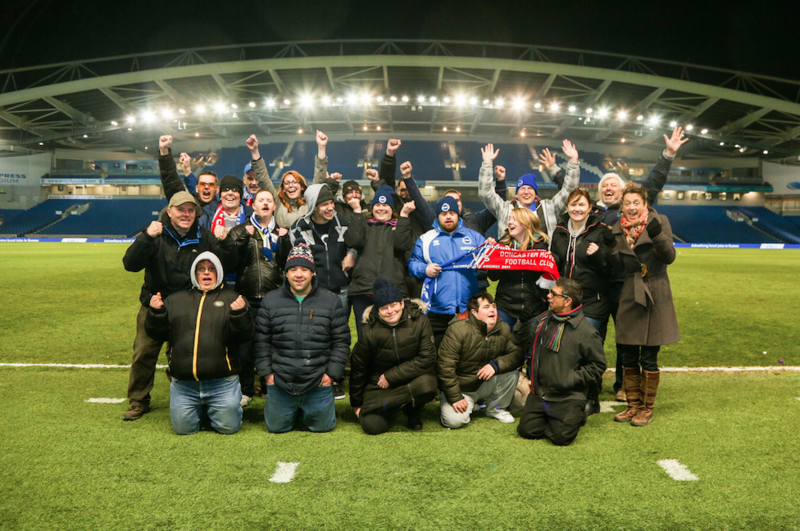 Managing Director of The Woodhorn Group, John Pitts, hosted a group of clients and staff from The Aldingbourne Trust on a visit to Brighton and Hove Albion’s Amex Stadium to watch a crucial Championship match against Reading FC last month. Andrew Gilbard from Aldingbourne Trust commented, “we got to meet Gully, enjoyed a look around the shop and were treated to lovely refreshments upon arrival. It was a great atmosphere, people were dancing and cheering and Brighton took the victory with 1-0 to Reading! After the match we had our photographs taken standing on the edge of the pitch. A great experience was had by all and it’s a memory that will last for a long time”. The Woodhorn Group work closely with The Aldingbourne Trust, a wonderful organisation which supports people across Sussex with learning disabilities helping them to reach their potential. Click on this link to learn more – we guarantee it will brighten your day!